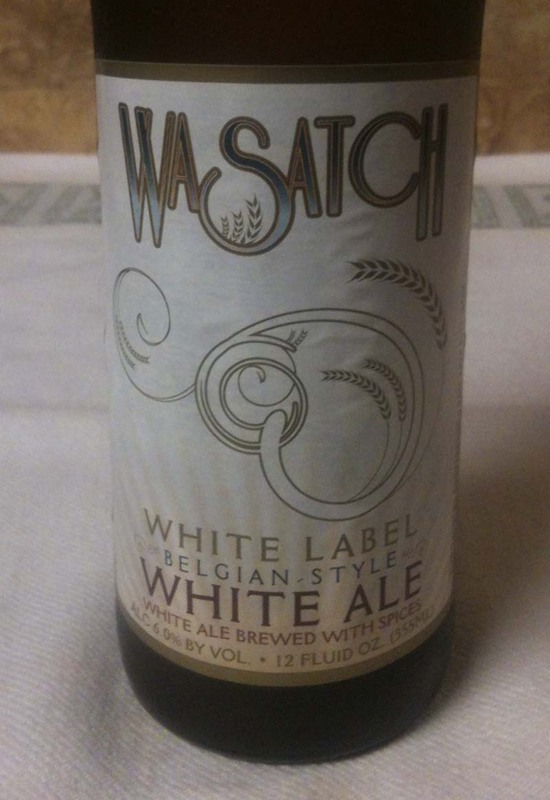 Tonight I will have a White Label, Belgian-Style White Ale, from Wasatch Beers. 6% ABV is listed on the twelve ounce bottle. Their web site says it is seasoned with orange peel and coriander. White Label poured with a very thin head that dissipated very quickly; appeared off white. Beer color is a clear, medium yellow. The aroma has yeast and a little spice. Mild to medium bodied. The taste has light wheat, some nice malt. Fruit and citrus. The spice is there, but mild. Very little aftertaste; maybe just a touch of fruit and grass. Very balanced. 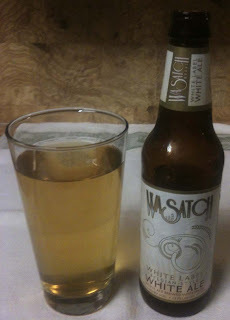 This is a very refreshing, with no single thing overpowering, and makes a great summer beer.